Held every spring in Savannah, the Oyster Roast celebrates Georgia's coast and the decades of work that the Georgia Conservancy and our supporters have dedicated to protecting these fragile and ecologically-diverse 100 miles of coastline. 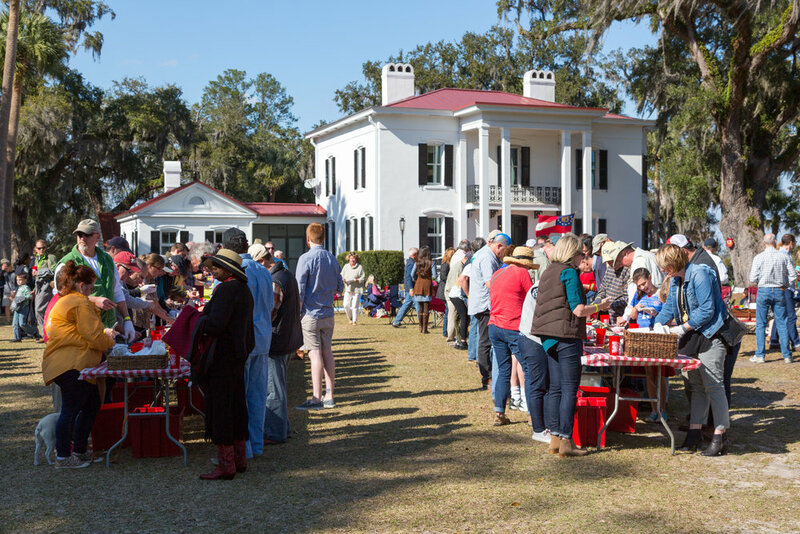 Our 2019 Oyster Roast will be held on March 2 at Grove Point Plantation. Includes 15 Very Important Shucker Invitations (VIS) and year-round recognition through our Natural Partners Corporate Sponsor Program. Oyster Roast recognition including largest logo placement on all Oyster Roast collateral. Includes 10 VIS registrations and year-round recognition through our Natural Partners Corporate Sponsor Program. Oyster Roast recognition including large logo placement on all Oyster Roast collateral. Includes 6 VIS registrations and year-round recognition through our Natural Partners Corporate Sponsor Program. Oyster Roast recognition including medium logo placement on all Oyster Roast collateral. * Indicates a Georgia Conservancy Natural Partners Sponsorship. Learn more about the Georgia Conservancy's Natural Partners Program and the benefits that it provides.